$55. Vintage Amoco gas station tire ashtray. Cool Amoco tire with glass ashtray in the center. 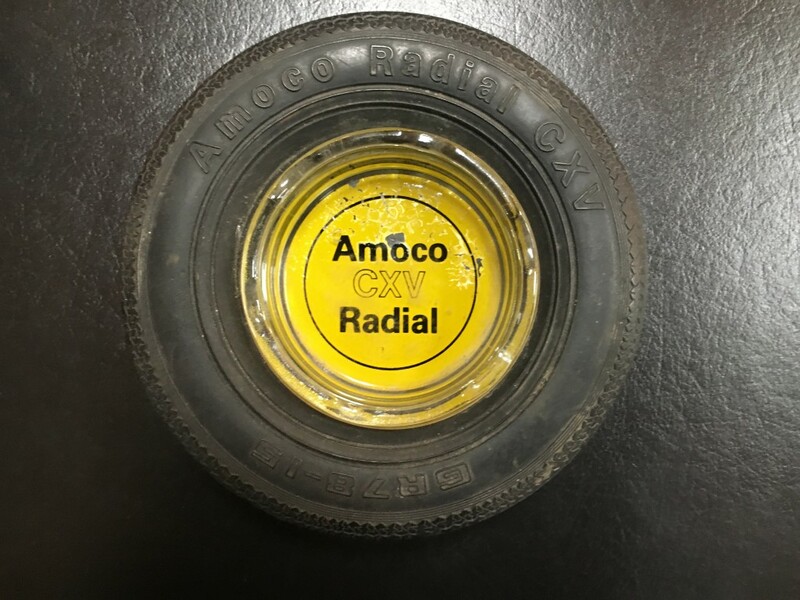 Says Amoco CXV Radial. Perfect for your collection. Very good condition. 6in diameter, 1.5in thick.